ROSE102 Big 50 Long Ecuadorian Red Roses in Vase [ROSE102] - $350.00 : Hanamo Florist Online Store, Vancouver, BC, Canada, Quality arrangements using a plethora of the freshest flowers. (This price not availale in Valentine's week) Perfect item for the 50th Anniversary!! Approx. height : 40 inch, Our Ecuadorian premium dark red roses are original size 70cm, the lengeth makes nice larger heads. 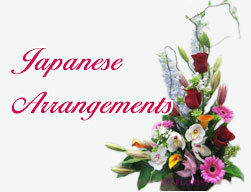 There is no filling flowers used for this arrangement, usually using ivy vines to creat classic style.